As I was doing some research on my phd this week, I had an epiphany. I finally understood why – although doing a phd and writing science fiction seem so far apart – they are both just as exciting and actually complement each other quite well in my mind. And the answer is: Critical Realism. Well, to many of you that would be like me saying that the answer to life is 42 – so let me give part of an explanation (because the full entirety of it would probably be a thesis in its own right). Critical realism – the main philosophy which underpins my work – breaks the world into three strata: the real, the actual, and the empirical. The real is all of the possibilities which could exist, the actual is the events which actually happen, and the empirical is the events which we actually experience. And, if you write science fiction (or perhaps in any genre), this is really nothing new to you! As an author, you create a world where all possibilities exist. 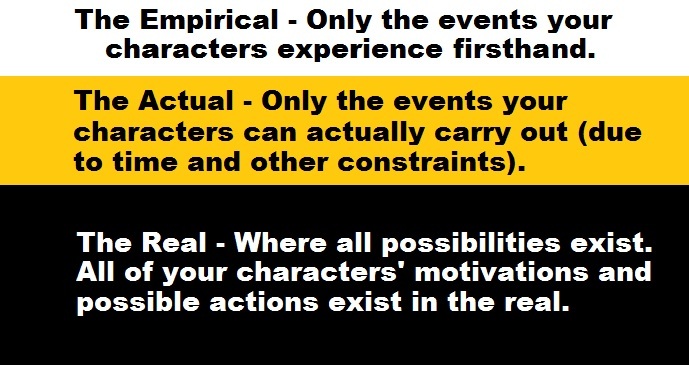 Then, you have events which actually happen, some of which your characters experience firsthand, and some of which they don’t. Then your characters have to deal with the outcomes of those events, and perhaps try to figure out why they happened in the first place so they can fix those problems or at least avoid them in the future. As an author, you are continually positing the consequences of what will happen if certain mechanisms trigger certain events, and what will happen if other mechanisms trigger opposite events. Why are the main characters trying to overthrow the government in my steampunk novel? Why are the graduates not getting jobs in the current industrial environment in Korea? both have their roots in sociopolitical economy. And if I didn’t want to ask questions about society, government, economy, and most of all, people, I wouldn’t be able to do either task very well. Above all, to do either the fiction writing or the thesis well, the most important two things are to do the research, and then continually ask, “Why?” Why does my character do this? Why do my characters interact like this? Why does society behave this way? And if we want to talk about word counts, by the time I’m done with my steampunk series I will have written far more than the 100,000 words required for my thesis. So now that you know being a writer is pretty similar to getting a phd – just without the frazzled look and the dingy back-corner office – grab a cup of coffee and get cracking! Enjoyed your comparisons and learned something in the process. Aun Aprendo.